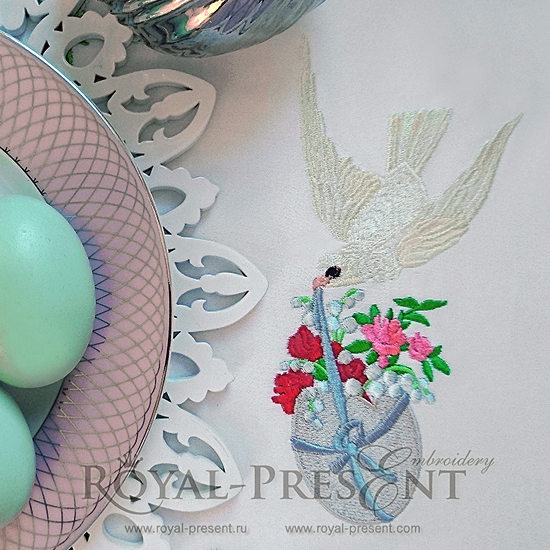 Machine Embroidery Design Easter dove is no exception. It`s festivity, and at the same time tenderness conquers each of you. Create a whole series of Easter embroidered elements with this design.